John Terry - New contract could signal the end for one Chelsea youngster. Despite the jubilation of the fact that John Terry is staying for an additional season, it's with sadness that it could mean the end for one of our promising youngsters - Tomas Kalas. The 23-year-old is already looking for his next move seems resigned to leaving this summer. Kalas has spent six years at Chelsea and spent the most part playing out on loan during that time with little exposure to our first team. The only notable appearance of note was when he started a couple of seasons ago under Jose Mourinho against Liverpool at Anfield in what turned out to be a really impressive debut. 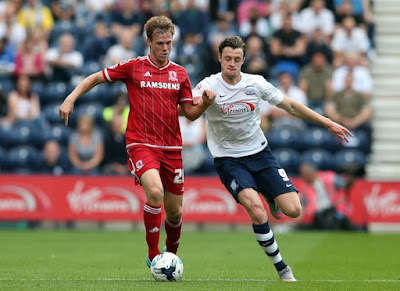 An obvious talent, Kalas is likely to be hot property if made available and is already talking up a move to link up on a permanent deal to play for Aitor Karanaka at Middlesborough having spent the last year and a half on loan there. It's a shame for Kalas it really is and Chelsea having such a poor season will hamper good young players as he is from making the step up this summer. Antonio Conte would have been told that a top four finish is the minimum expected when he agreed to take over and that could mean that hardly anyone gets a look in! It's frustrating because you want to see these players given a chance and at least a good run of games to get used to the exposure, to then go and show what they can do having been given the chance to get used to step up from the Academy or other leagues into the Premier League. However, the Chelsea Board will realise that this past season can be the only time we finish as badly as we have without European football. All the clubs efforts will be focused on the Premier League and a top four finish and it could mean a real fire sale at Stamford Bridge. Gone are the days of 30+ players out on loan moving forward and unfortunately, that means the likes of Kalas and others will be shown the door.